For the letter G I chose Grin and Gift! 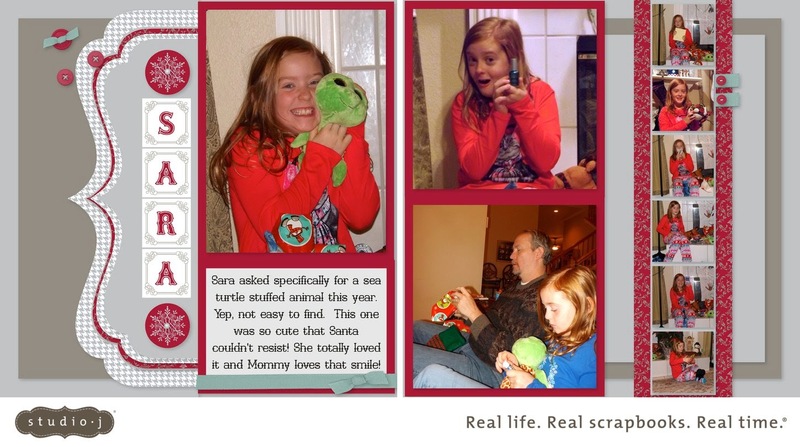 I love my daughter's grin in the page on the left! It is so hard to get a decent grin from her it usually looks more like a grimace! 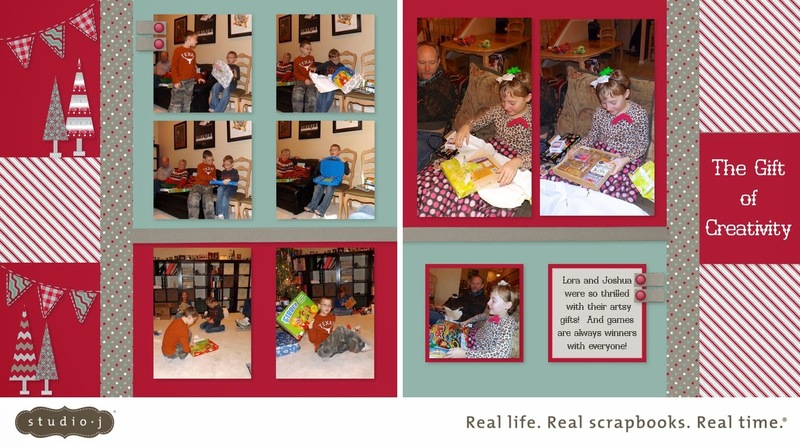 I made these pages and eleven more from last Christmas in less than 2 weeks with very little time investment! The paper used is Sparkle and Shine which is now retired but is still available in Studio J! 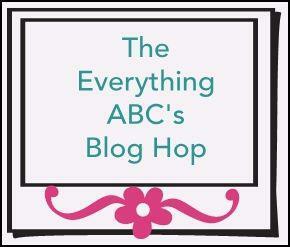 The title is the Stickease Alphabet! I love being able to use Stickease alphabets because I NEVER run out of letters and they are always the right size! One of my favorite things about Studio J besides no mess and speed is that I ALWAYS have the right sized picture! It scales the picture in proportion to the photo well! So for the pictures on this layout, I would have had to make a whole bunch of reprints to be able to make it this way! I only print 4x6's unless I have a reason to print something different! I made this layout while on a trip to Chicago when I had wifi access but no space or time to get out my scrapbooking stuff! My kids are quite into drawing and making creative works of art! 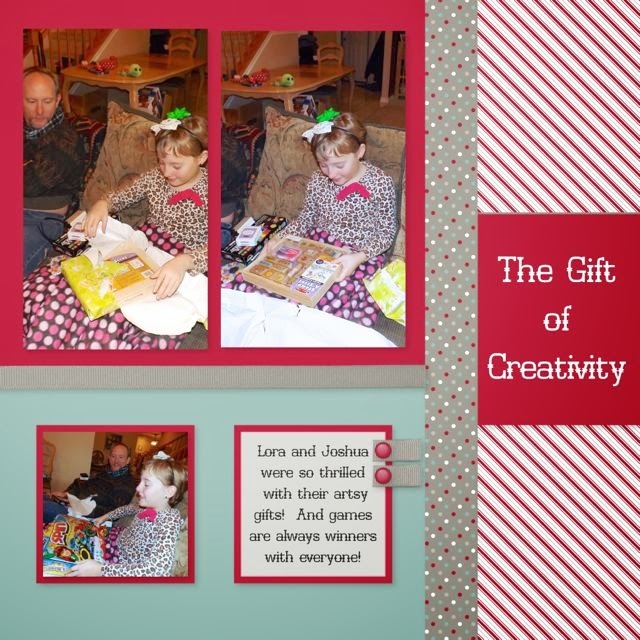 On this layout the title is Gift of Creativity because they are all getting gifts that require their creativity to use! Lora got stamps and some retired CTMH ink pads! I did not use the traditional title box on this layout and just added a title box where I wanted it and sized ti to fit the space! On the left page below I was able to add Stickease to dress up the blank spots that used to be photo wells! I even used stitching for the banners and resixed the tringle stickease to fit the stitched banner! Joshua got an art kit and Micah a game called Fibber! Can you imagine the things you can create on Studio J!? Well, here is a link to some more posts about Studio J! Want to give it a try? There is no cost until you order! There is nothing to buy except the layouts at $6.95 for a 2 page layout! There are tons of papers to choose from and lots of layouts including one where you can create you own layout! You can even use it for photo processing if you want 100 year quality photos! They even have some new layouts intend for exactly that where you can just drag and drop your photos into the photo wells and go! Try Studio J here! Need help? Set up a time with me and I will help you one on one with the program! Now on to check out what the others have created for the letter G! 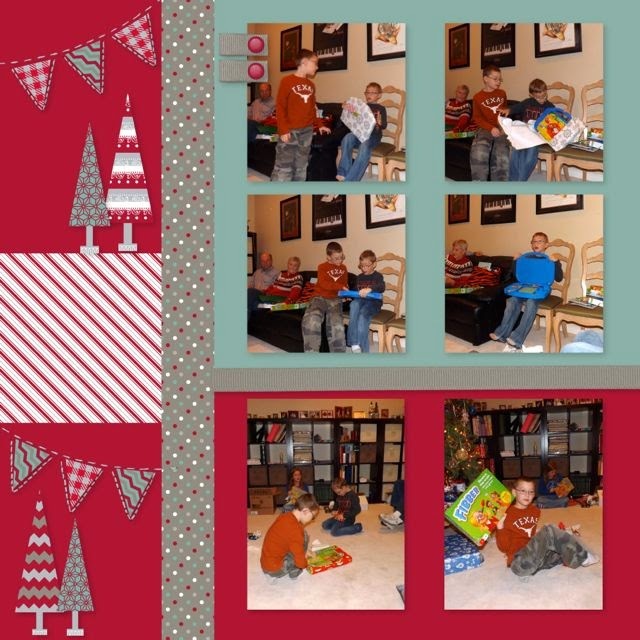 Love the Christmas pages you have created with Studio J_ I ahev just used it for my photo processing and found it wonderful! Great job using Studio J and this paper is one of my favorites. 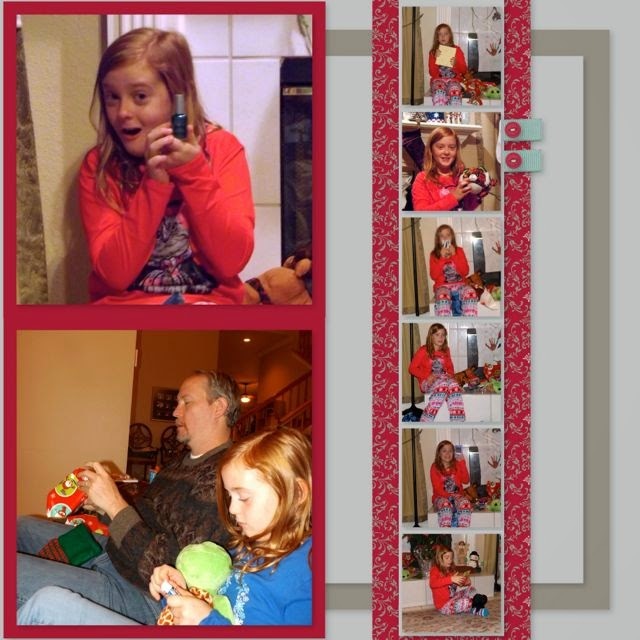 Darling layouts with darling kids, Studio J makes life much easier. I love the banners and trees in the photo wells. Great idea! Great Studio J pages. I just love the Sparkle and Shine paper! Great pages Linda! Love that you found your "G" in such a creative way!! 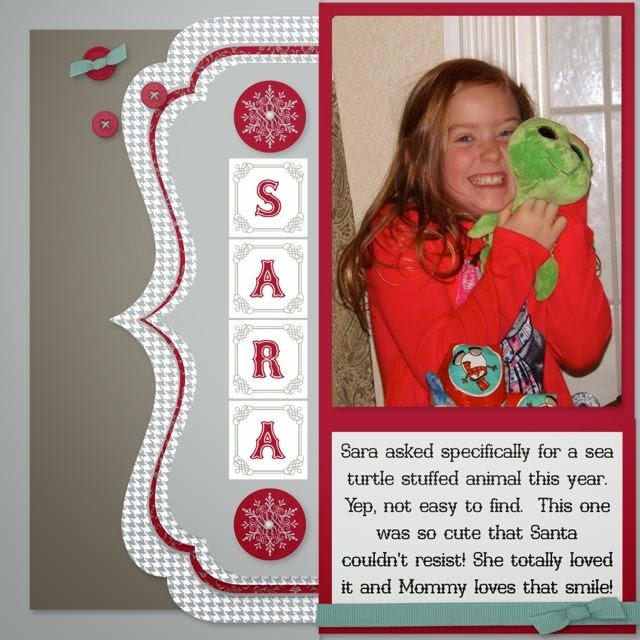 Love your GRIN & GIFT layout! Her grin is precious!!! Much better than any Giraffe!